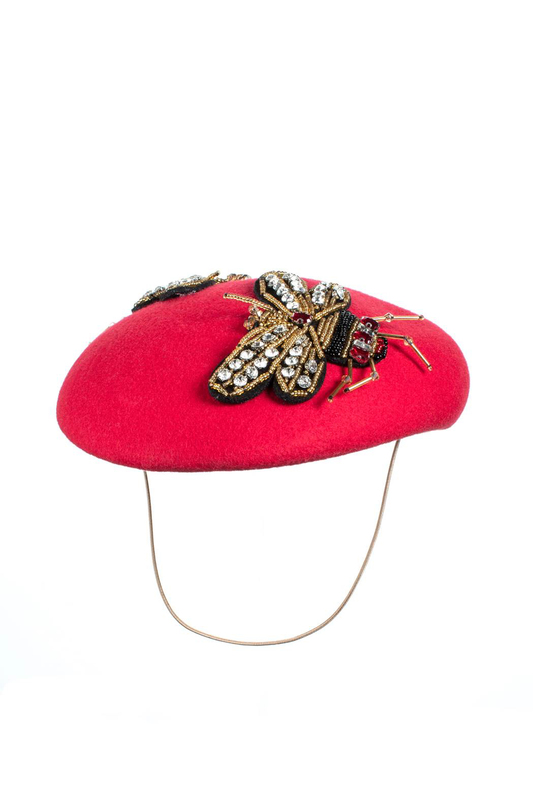 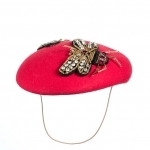 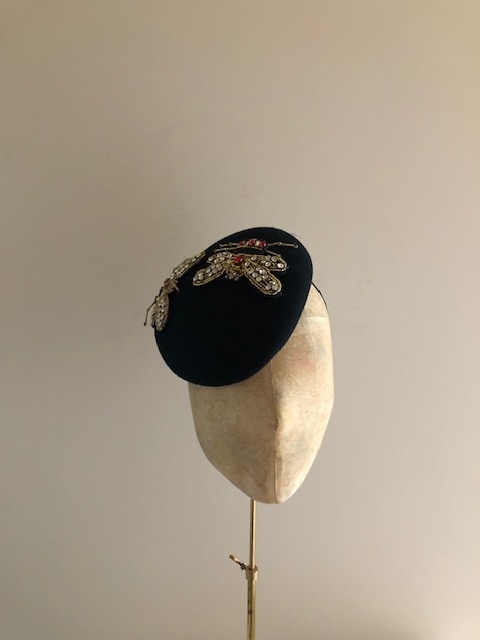 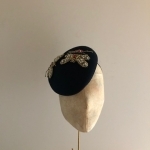 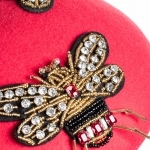 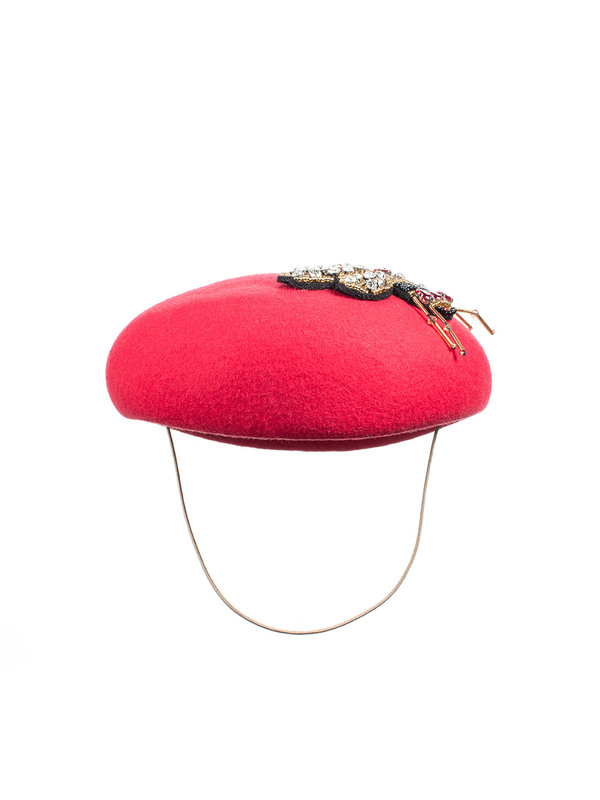 The Fleming Pillbox Hat comprises a pillbox base trimmed with two queen bees in golds, blacks, diamanté and ruby coloured jewels. 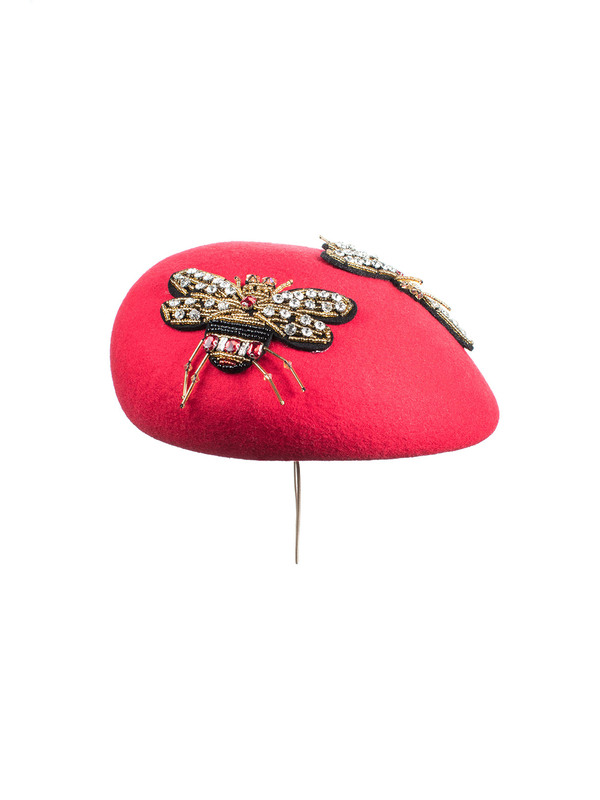 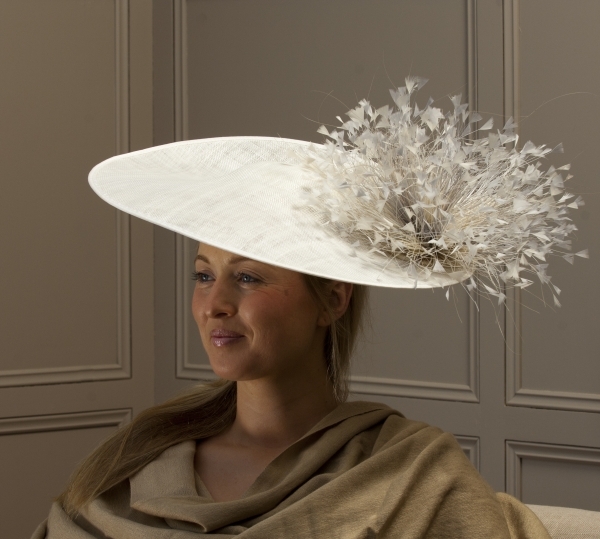 This is a really fun hat for a winter wedding or race meeting and looks great in this rich red colour. 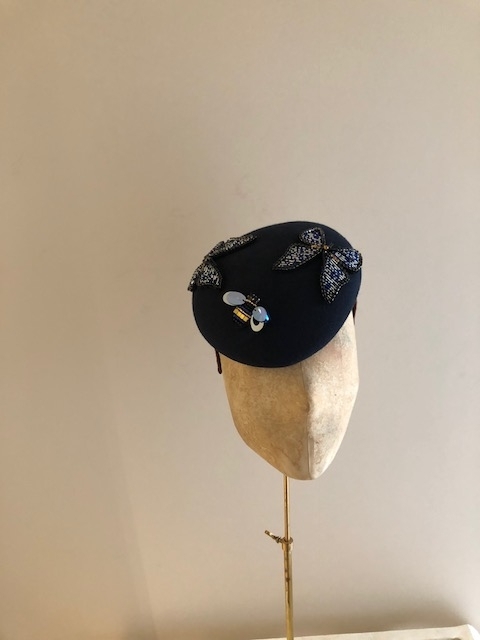 The hat can be made on elastic or a headband; whichever you choose we will make sure that it blends with your hair colour. 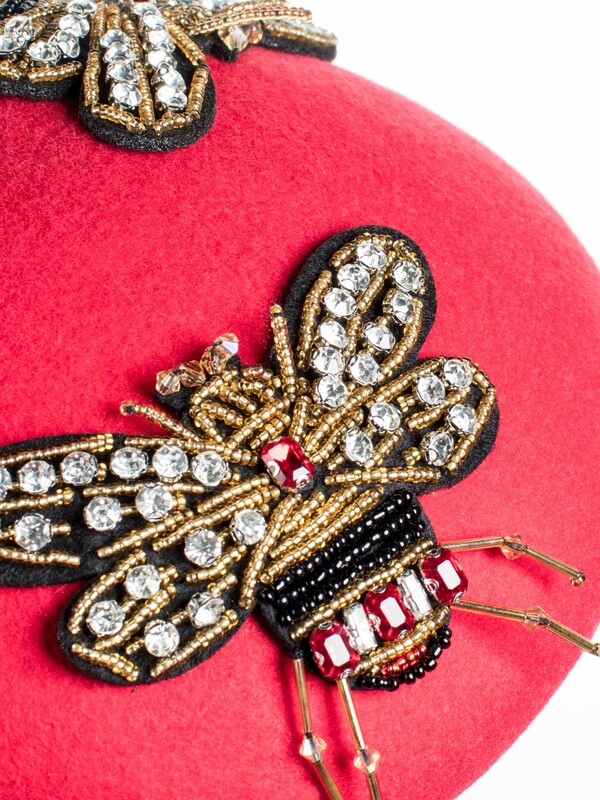 The Fleming Pillbox Hat comprises a pillbox base trimmed with two queen bees in golds, blacks, diamanté and ruby coloured jewels. 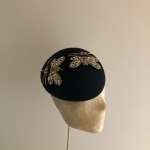 This is a really fun hat for a winter wedding or race meeting and looks great in the rich red felt. 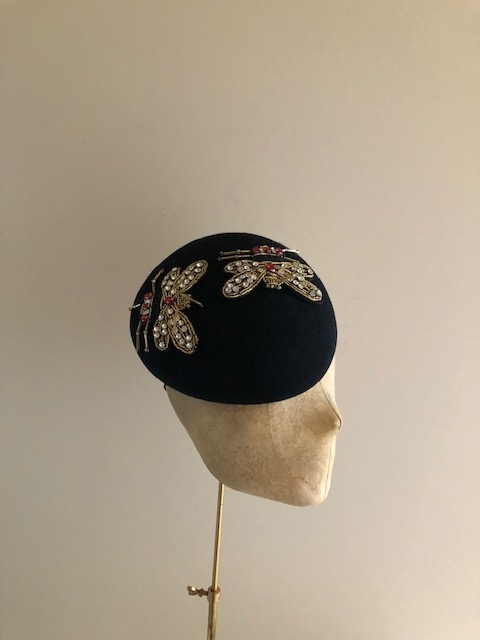 The hat can be made on elastic or a headband; whichever you choose we will make sure that it blends with your hair colour. 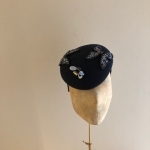 All of our hats are available in any colour way. 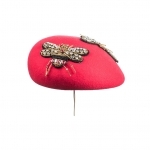 Please see our felt colour charts to help you to choose which colour base you would like for your Fleming Pillbox Hat. 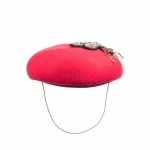 We are happy to send out colour swatches so you can be sure that the colours you choose match your outfit. 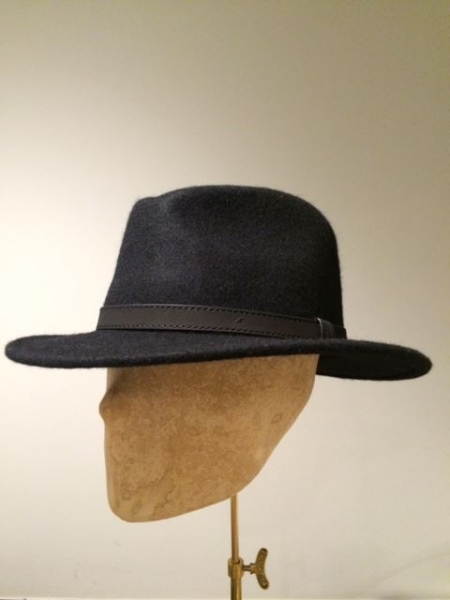 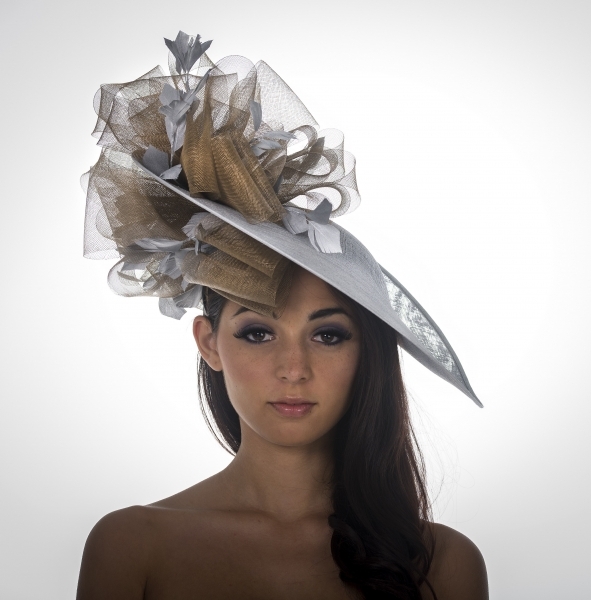 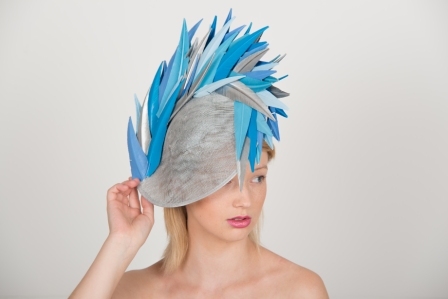 Please contact us on info@hostiehats.co.uk to order your colour swatches.